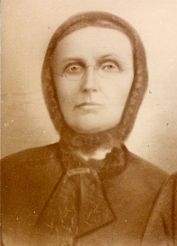 Marie Peters traveled from Prussia to New Braunfels with her parents in the 1850s. I heard a story about Marie a number of years ago. She knew Philipp Bauer in Prussia. He must have lived in the same area as her family. Once she arrived in New Braunfels she wrote and told him to come to Texas. He took her advice and on 19 August 1855 they married in New Braunfels, Comal County, Texas. G. W. Eisenlohr a minister of the Gospel performed the ceremony. Marie and Philipp had five children Bertha, Otto, Louise married Carl Wessley, Ernest married Rosa Bender, and Emma married Henry Schuetz. Comal County, Texas, marriage certificate No. 122 (1855), Bauer-Peters; Comal County Court House,New Braunfels.